Looking for an Eco heating system? 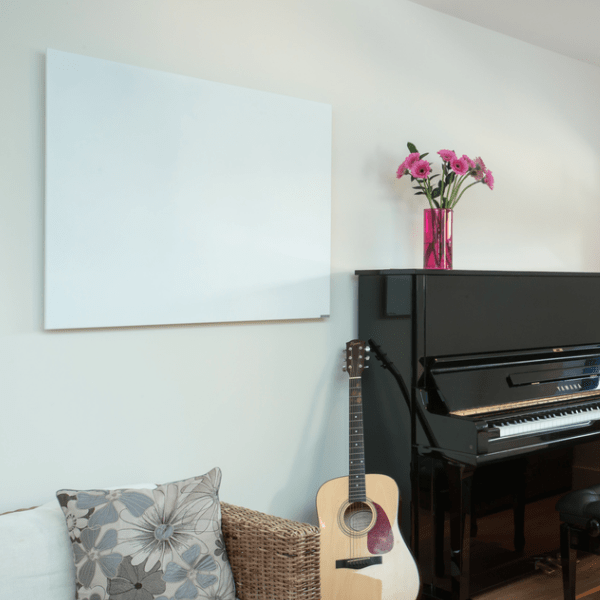 If you have moved in to a new home, or simply want to replace an old heating system with a new eco heating system then look no further than the infrared heaters we have here at Infrared4homes – the home of infrared heating! 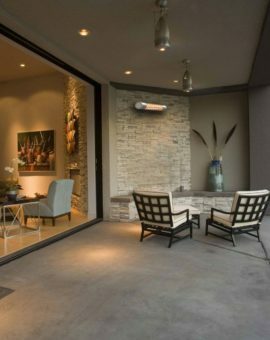 So why are infrared heaters considered an eco-heating system – well the reason is to do with how they heat! 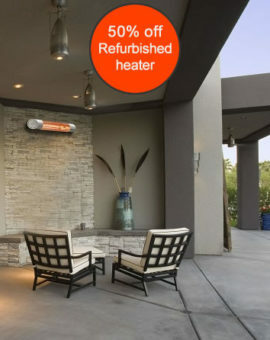 Infrared heaters produce infrared (just like the name suggests! 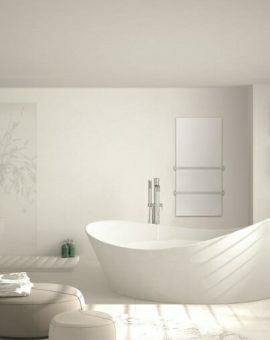 ), this is different to the more conventional convection heating most people have in their homes. Why is infrared an Eco heating system? 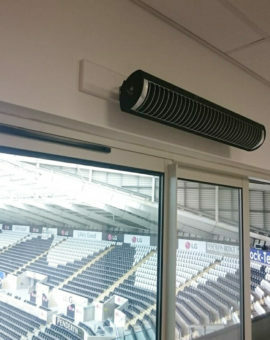 Infrared is more efficient that convection heating because the heat is targeted – basically when you switch one of our Infrared eco heaters on, the heater warms up and once it gets to temperature (normally within 5 or so minutes) it starts emitting the infrared, which travels from the heater until it heats a solid object. The solid object, which could be furniture, a person or the wall will then absorb the infrared and this will cause the object to warm up. Compare this with convection heating, like a radiator for example. The radiator gets warm and heats any air in direct contact with it – this hot air spreads around the warm via convection currents – so the hot air rises because it is less dense while the cold air falls since it is more dense. The reason a person feels warm in a room heated by convection heated is because they are in direct contact with warm air. 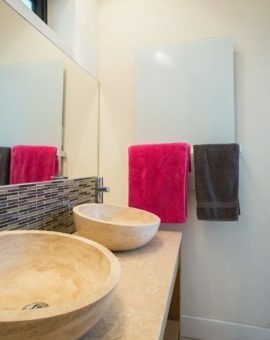 This is the basic of convection heating versus infrared (or radiant heating). Now the reason the infrared is more efficient and considered an Eco heating system is because you need less wattage to feel the same heat because you are heating surface area rather than volume. Also, couple this with the fact that infrared eco heating systems are less impacted by cold draughts – you have the most efficient electrical heating system! Now it is worth mentioning electricity is considerably more expensive per unit than gas, so if you do have a gas central heating system then that will likely be cheaper to run in the long run. Electricity costs about 12.5p/kwh while gas is about 3p/kWh – so you are looking at about 3-4 times the price to run an electric heating system, but for many they have no choice but to heat by a form of electric heating (convection heaters, storage heaters or our infrared heaters) so when it comes to comparing electrical heating there really is only one winner – Infrared! 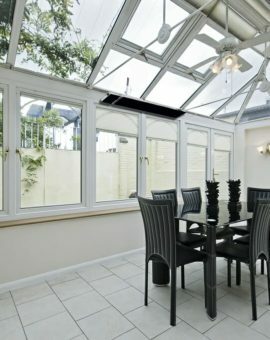 Infrared4homes – the home of Eco heating systems! 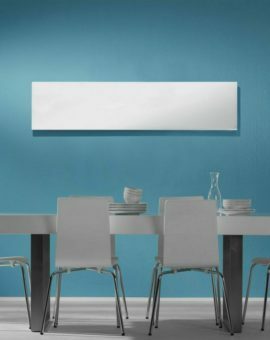 If you are looking for an Eco heating system in your home, then look no further than our fantastic range of infrared heaters – mirrors, patio heaters, you can even get your favourite picture printed one of our infrared panel heaters, all at unbelievable prices! Infrared heating is very efficient. We saved about 30% on our heating bills by swapping from the old storage heaters although some of that may be because we moved off Economy 7!